How can film mediate the complications of grief and the myth of closure in an ‘ambiguous loss’? A documentary inspired by the stories of missing people in Iranian newspapers, Farahnaz Sharifi’s Missing investigates, or imagines, the emotional aftermath of those left to mourn the missing figures in limbo. To grieve in the wake of this ambiguous loss is a process fraught with both hope and despair. Sharifi reminds us of this in several sequences (including the opening) where different facets of a home or a bedroom are shown. 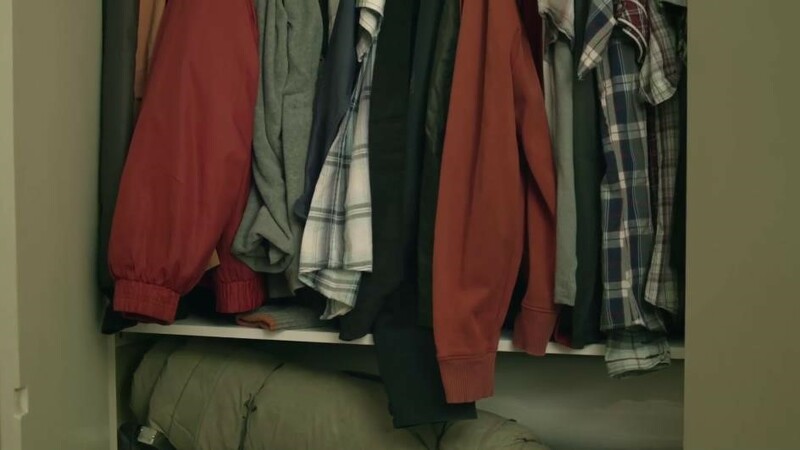 The camera lingers on material traces which speak to a spectral presence – a ticking watch by the bedside table, a room that is left untouched, and clothes that are faithfully washed and hung. These quotidian acts by the loved ones are not just a form of memorialising, but a continual longing for those missing to return. The literal and figural door is always left open. In an attempt to memorialise these lost subjects and to understand the events that led to their disappearances, Sharifi pieces together remnants of their existence from both the personal and public archive – photographs, personal artefacts, and newspaper clippings – even as she understands that this is a futile attempt in finding closure. The archive, like memory, will always be fractured in some ways. Yet, it is the attempt to remember which continues to make the absent, present. Missing is one such attempt. The film is not so much a documentary as it is a document of fragments. This is echoed in the different ways Sharifi structures an understanding of each missing person’s case, which could be as informative as a newspaper article, as emotional as an interview with a grieving parent, or as abstract as a simple montage of photographs (whether the subject of the photograph is really the missing person, we may never know). In one affecting scene, Sharifi uses footage of one man’s last moments before he was declared missing. These archival materials are what remain, the fragments that are left behind. In some instances, a case is presented in this manner – an impersonator of the missing person stands in front of a green screen while the camera zooms in to their expressionless gaze. A narration pertaining to details of their disappearance accompanies the scene. The use of a green screen hints at fictive possibilities and reimagined scenarios where environments can be easily manipulated. Yet the subject always remains fixed in the frame. “Photographs revive memories…we are always present in photos, we never disappear from them” reads one intertitle. The medium of film allows fact and fiction to coexist uneasily. By blurring these boundaries, Sharifi visualises the gaps between the truth and the unknown. This speculative narrative conveys the frustration of missing cases: who really knows what had happened? Is it better to accept reality or to continue longing? 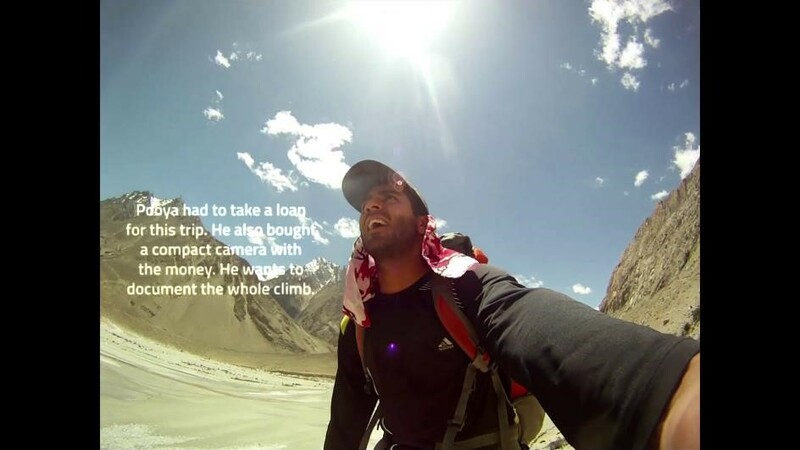 These questions linger for the audience when footage of mountaineer Pooya, who documented his last trip on the Iran Trail with his camera and selfie stick, is interjected with Sharifi’s captions. We are told that Pooya was on the hike with two friends, and the footage is of their journey before the final stages of the climb where he leaves his camera behind to pick up on the way back. The trio were declared missing shortly after. Pauline Boss, who coined the term ‘ambiguous loss’, argues that closure is a myth in this kind of complicated grief, and thus should not be sought after. Resolving loss only leads to failure. Instead, one should learn to embrace the paradox that someone can be absent and present at the same time. In reimagining Pooya’s fate, Sharifi illustrates the potential of both acceptance and longing, where hope intermingles with grief in a way that subverts the ‘healthy’ process of mourning. The scene may be one of make belief, but it provides a hopeful respite. A thought comes to mind when Pooya’s footage is shown—how painful it must have been for the family to share his last moments, yet could this possibly be a way to share the burden of the pain as well? Missing raises more questions than answers. 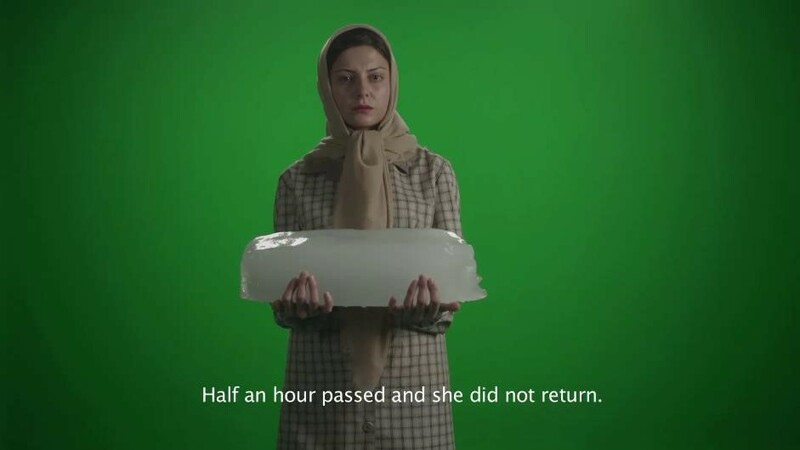 It is evident that this scene is not from Pooya’s camera and the words belong to Sharifi, who is perhaps speaking on behalf of those who cannot, in the wake of their trauma. She imagines an alternate ending for both Pooya and his loved ones, one where he may be absent but not lost. One where he is merely dreaming. A term first used by researcher Pauline Boss to describe families of soldiers who went missing in action, ambiguous loss is a loss that prevents closure and delays the process of grieving, often resulting in unresolved grief. Boss, Pauline (April 2010). “The Trauma and Complicated Grief of Ambiguous Loss”. Pastoral Psychology. 59 (2): 138. Rachel is the Engagement Officer at Asian Film Archive where she oversees the archive’s social media platforms and digital marketing. She graduated with a degree in History of Art at University College London and has previously worked at the Singapore Art Museum and Asian Civilisations Museum. She is interested in the intersections between art, science and technology.